These days, there's arguably no more varied or accomplished a genre than the puzzler. Here is one of the very best examples to prove it – Xcube. Reviewed a couple of days ago by one of our team members, we just had to share it again with you. It deserves another mention, this time as Puzzle Game of the Month. Read on and see what it’s all about! The game that we’re talking about is called Xcube. It is a cross-platform puzzle game for users of any age. 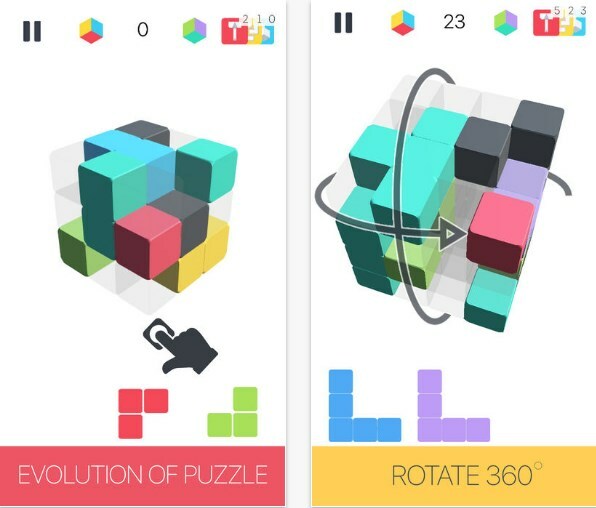 This rotatable cube placement based puzzle game is easy to play, hard to master, designed with neat user interface and great graphics. It will challenge you and addict you to the fullest! With Xcube, you can choose your game concept, personalize your cube by picking the themes and art styles, and have hours of fun. The objective is to fill a 360 degree rotatable cube with the given objects, fill a horizontal or vertical line and see it destroyed. Clear sides of the cube to place new shapes and be careful when clearing, always leave area for incoming shapes. 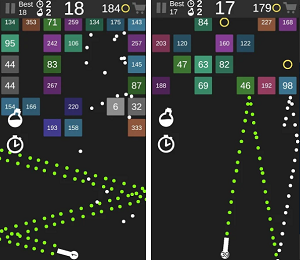 By destroying lines you earn points until cube is filled and there is no place for the incoming objects, then you lose the game. There is another mode too – the Rubicks or the Color mode where your main goal is to fill the color based faces with the matched color. But be careful when you add shapes into one corner, you are blocking another side of the cube. So basically you need to solve your own puzzle. Get the Xcube game, make higher scores and challenge your friends! Download it now from the App Store or from Google Play – it is completely free of charge!